When you are ready to put your site live. You will need a web hosting account. When trying to find one, you naturally go for the most affordable web hosting plan you can find. You will find a plethora hosting companies and reviews. But don't let just the price be your deciding factor. What features do you get with it? These are some of the questions you should be asking when you are on the hunt. For those who like an easier route in finding a web host. Here are some of the best web hosting companies I have found. BlueHost is one of the fastest growing web hosting companies in the industry. For good reason. They offer great pricing, uptime guarantees, and 24/7 customer support. Comparable features to the other shared hosting companies. Like Free Site Builder, 1-Click WordPress Install, and a 30 Day Money Back Guarantee. HostMonster.com is the best decision when it comes down to features vs. pricing. You have unlimited disk space and bandwidth, and domain hosting. HostMonster's control panel makes it easy to manage your domain names. Create, edit or delete MySQL databases. Plus 1-Click installs that feature popular CMS systems and e-commerce platforms. GoDaddy is the largest web hosting company in the United States. 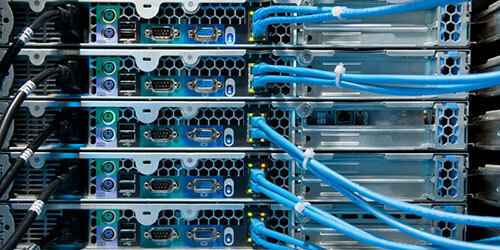 It features in the industry leader in load time and offers 99% uptime guarantee on their server. With cPanel Management and award-winning 24/7 support, it is hard to argue not to choose GoDaddy. HostGator is a little less to offer than the other ones mentioned, but they are still a company to look at. Because they have the best reputation for customer service and performance than any other shared hosting company. HostGator gives you everything you need to start your website. Unlimited bandwidth, domain hosting, and 1-Click install on popular applications. Take advantage of their no contract and 45-day money back guarantee. Look at what features you are getting at the price point. Just because they have a great rate doesn't make them the right choice. Put your decision between cost vs. quality. As each website has different needs, these are some of the most affordable web hosting in the industry. Take your time and look at each one carefully. Find a place that feels right to you. You want to find one for the long haul. It is a pain to change web hosts. You have to transfer files, domains, DNS, etc. It is better to find something that you can grow your website with than to change all the time.